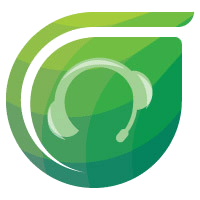 Kayako is a help desk software for personal and connected customer service. Its features include live chat, self-service knowledge base, help center analytics, customer journey reports, and more. In this article, we cover user reviews and pricing. Ready to try Kayako? Get a free trial. Users who gave Kayako a positive review said that the software is easy to learn and use. Some of them also commended features such as live chat, stock responses, and macro creation. Users who gave Kayako a negative review complained about the complicated process of closing tickets. Some of them also had issues with inefficient customer support and system crashes. 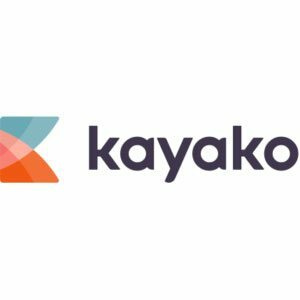 A user who left a negative review of Kayako on G2 Crowd said that she has to log in multiple times when trying to view tickets. She added that the system wouldn’t accept her username and password until she had to manually change the URL which was time-consuming. She also reported that there were instances when her customers do not receive her emails. 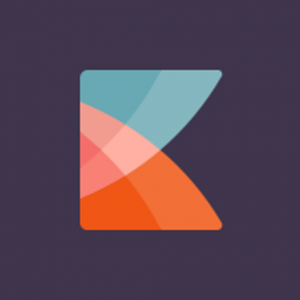 Kayako offers four subscription plans, billed annually: Inbox ($15/agent/month), Growth ($30/agent/month), Scale ($60/agent/month), and Enterprise (starts at $100/agent/month). The main differences between the plans include the level of customization and advanced features such as user permissions and the number of collaborators. Ready to try Kayako? Get a free trial. Best Help Desk Software — A help desk software helps users manage customer inquiries and issues more effectively and efficiently. In this guide, we looked at the industry leaders and up-and-comers and found Freshdesk, HappyFox, and Zendesk. Does Kayako allow user restrictions? Yes. Kayako users are classified into two: agent and collaborator. An agent is a user within the business who will communicate with customers through Kayako’s platform. It can be a manager, support rep, or administrator. A collaborator can only view or work on customer conversations, but cannot initiate or participate in them. Can Kayako users create customized views, fields, and forms? Except for Inbox plan holders, all users can create custom views and fields for conversations as well as user profiles. Not sure if Kayako is the right fit for you? Read our reviews of top help desk software or check out one of these three Kayako alternatives. There are a lot of tools for communication, tracking, and escalating tickets. It makes the customer service process much easier. There is a huge learning curve on the software. It took me about 6 months to a year to fully feel comfortable with all the ins and outs of the tool, even while using it daily. I’m not the one who purchased the tool, so there is nothing I wish I knew, but I wish there were better tools to train users on the software. Kayako’s ease of use of makes it a number one customer and/ or technical support product. Apart from day-to-day support tasks like responding to tickets or creating them, you can create template responses to address customers’ issues. As we deal with customers from around the world in various languages and never had issues with alphabets in various languages. So far the company has delivered the product as it has been advertised, the only thing is that they should improve the search function for tickets, as we have over 100 tickets daily and sometimes finding a ticket using email address takes a long time. I had no experience of using the platform before joining my current company, so the product was new to me and everything I learned on the job, I don’t think that I had to know before using the service, as everything was easy to use. I like Kayako because its functions are completely easy to use and it shows that it can be a platform free of support attention. Kayako also gives different users a totally exclusive and appropriate design to develop their queries with potential customers. Kayako represents a very good function and development at company level, so, in its performance, I have not noticed anything that has bothered me or any negative point. I expected Kayako to have a chat history, to keep the customer service provided. I like to work with Kayaso since it has provided me with many benefits since I use it, it has a wide platform very suitable to the interests that are needed, besides that it has excellent prices and it works quickly and accurately. Kayaso offers many features that meet the needs that is found in this program what is needed for its execution and is great. Your platform is very fast and efficient because it has provided me with more profits in less time. 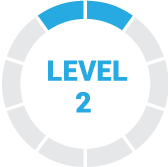 I do not like the company its limitations in many cases although it generally helps me to inform clients in a clear and simple way and it is great because customers feel satisfied to work with this program. I was pleased to know well how were its modalities or functions since it has taken me of surprise in many occasions its limitations and it is truly annoying. Best tool Kayako has earned is the experience working with clients, they have learned how to communicate with them through a personalized web view, each time a client has an issue or maybe a complain, they can find where and how report it. Now our company have happier clients, and us a very orderder way to follow what they want from us. Kayako never stop improving their own product, to make it one of the best in the market. It’s hard to imagine something they are not doing well, in my opinion there are things they has not done yet. As everybody knows it’s almost impossible have 100% of positive reviews. Personalization and features improving, I’ve worked with Kayako as a hosted solution, where they have a lot of limitations that could make our cases easier to work with. I would like to know this specific limitation before start using it.